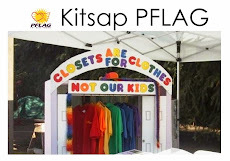 Our next Kitsap PFLAG meeting is Monday, March 16 at 6:30 p.m.
Kitsap PFLAG meetings are open to the entire LGBTQ community. I have heard from several families of trans* people that they would like to attend a meeting for trans* families specifically. Please consider coming to our regular meeting. We have had many good discussions about issues affecting trans* families.